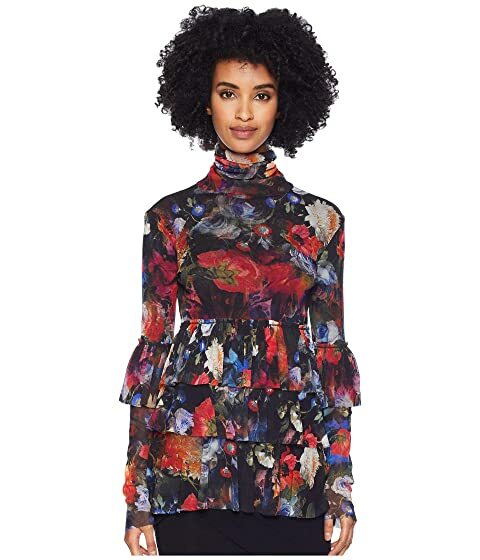 Hypnotize the masses with your enchanting beauty in the FUZZI™ Long Sleeve Ruffle Flower Printed Top. Long sleeves with ruffle detail. Tiered ruffle detail from waist to hemline. We can't currently find any similar items for the Long Sleeve Ruffle Flower Printed Top by FUZZI. Sorry!